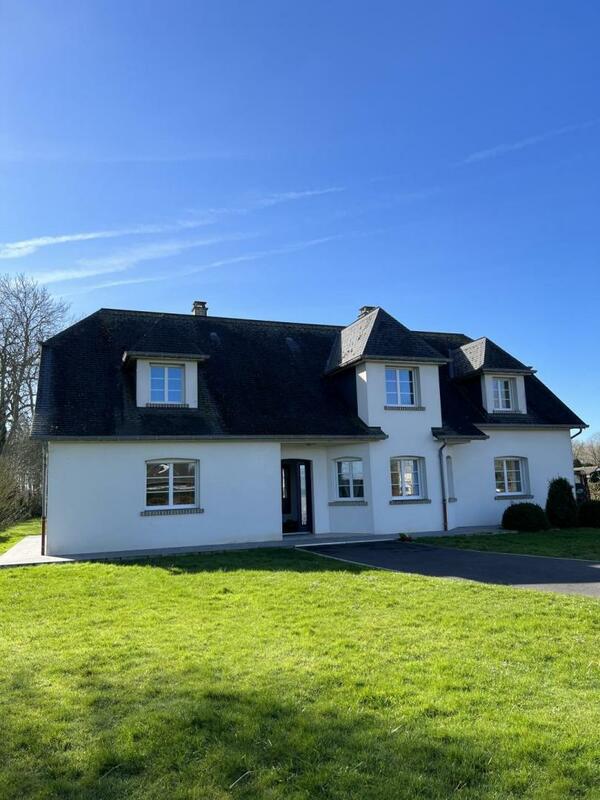 Charming house in hamlet of St Mard, 15km from the Baie de Somme. Detached gîte (200 sq.m.) with courtyard and fenced garden (1,600 sq.m.). Ground floor: entrance hall (bow window), large living/dining room, fitted kitchen (fridge-freezer, central island), scullery (garden equipment), all overlooking well-lit terrace and garden. Master bedroom (queen-size bed, cot), dressing room, shower room, separate WC. 1st floor: mezzanine, lounge area, bedroom (3 single beds), separate WC, bathroom (with shower), bedroom (double bed, single bed). Heating: mains gas (extra charge). Mobile phone possible on request.